We Love Pattaya blamed City Hall in the resort for not clearing away properly after attempts to repair the sidewalk went unfinished. 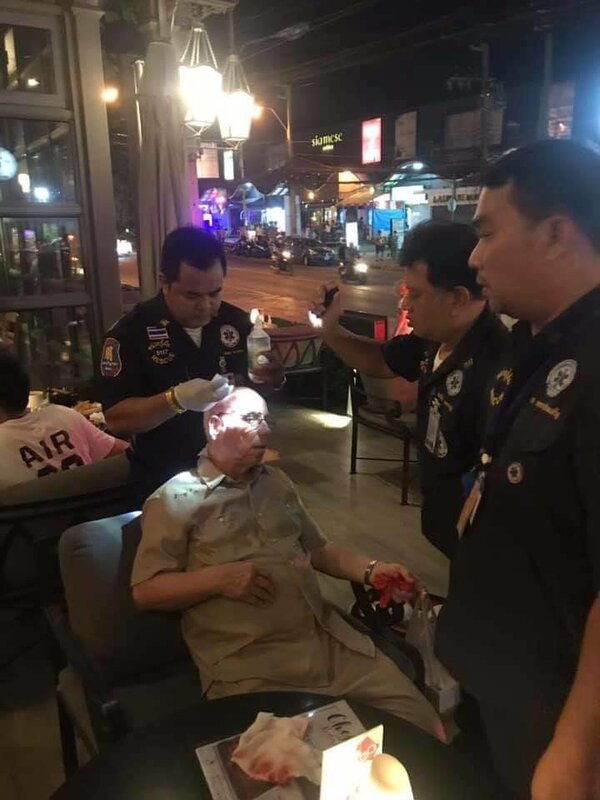 This resulted in a foreign pensioner falling over outside the La Ferme restaurant in North Pattaya. 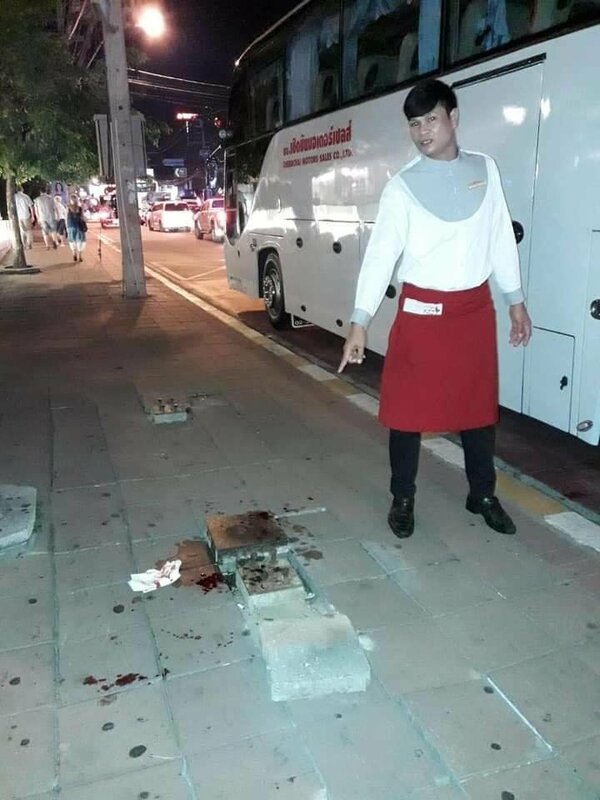 A staff member was seen in a photo pointing to the blood left at the scene that resembled an unexpected obstacle course. Restaurant staff gave first aid to the injured man before seeing him safely to hospital. We Love Pattaya said this was terrible for Pattaya's image and they called on City Hall to get their act together before it happens again. Looks like Dr Evil, Mini-Me still in the bar playing with the girls!? Yes Captain Kirk, the ayes eyes ears have it. and they called on City Hall to get their act together b﻿efore it happens again. More chance of Brexit ! A ridiculous waste of it too! Baht Bus stops where they likes! Another fine example of the "world class infrastructure" in "South East Asia's premier family resort". Ah, a 'mobile Baht bus stop'. A variable feast, like Easter. Fined 500 thb for creating a mess on the pathway? Godspeed with your healing old timer. Aye, it's a jungle out there! !, a concrete jungle! !